Belfast boxer Michael Conlan has been heavily criticised after walking out to his latest fight to chants referencing the IRA. The Top Rank fighter eased to a wide points win at Madison Square Garden in New York on St Patrick's Day against Ruben Garcia Hernandez, however his choice of entrance music left many speechless. 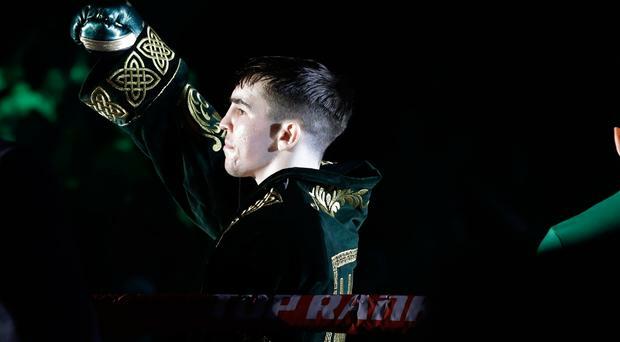 Michael Conlan made his way to the ring to The Wolfe Tones track "Celtic Symphony", which included the line "ooh ah up the Ra". Footage from the fight shows scores of fans joining in the chant, however many Northern Ireland viewers took to social media to voice their displeasure over the incident. One user branded it "absolutely disgusting", while another called it a "disgrace". Belfast councillor Jule-Anne Corr-Johnston said: "Mick Conlons (sic) ring entrance is absent of class and redundant of leadership. He may go on to win belts and titles but today he’s lost hearts and minds. Disappointing." Mick Conlan’s ring entrance is absent of class and redundant of leadership. He may go on to win belts and titles but today he’s lost hearts and minds. Disappointing. DUP councillor Brian Kingston said: "Very disappointing that Michael Conlon (sic) does not follow the lead of many previous boxing and sporting heroes so that people can support him across the divide. Disgraceful that he has no regard for the victims of IRA terrorism."